A perfect centre piece for those looking to create their own home entertainment system with speakers of your choice, rather than installing a ready-made package. Experience authentic surround sound in quality audio, with dynamic bass provided by Pioneer’s Phase Control Technology. The Ultra HD (4K/60p) pass-through with HDCP 2.2 lets you enjoy video resolution four times 1080p on a compatible display. HDMI offers connections for all your sources including Blu-ray Disc players, cable boxes, and game consoles. In addition to 2-channel sound with the left and right speakers, 5.1-channel sound has a centre speaker, left/right surround speakers, and a subwoofer. So DVD or Blu-ray movie soundtracks will give you the sensation of sound moving all around, letting you fully immerse in the viewing experience. 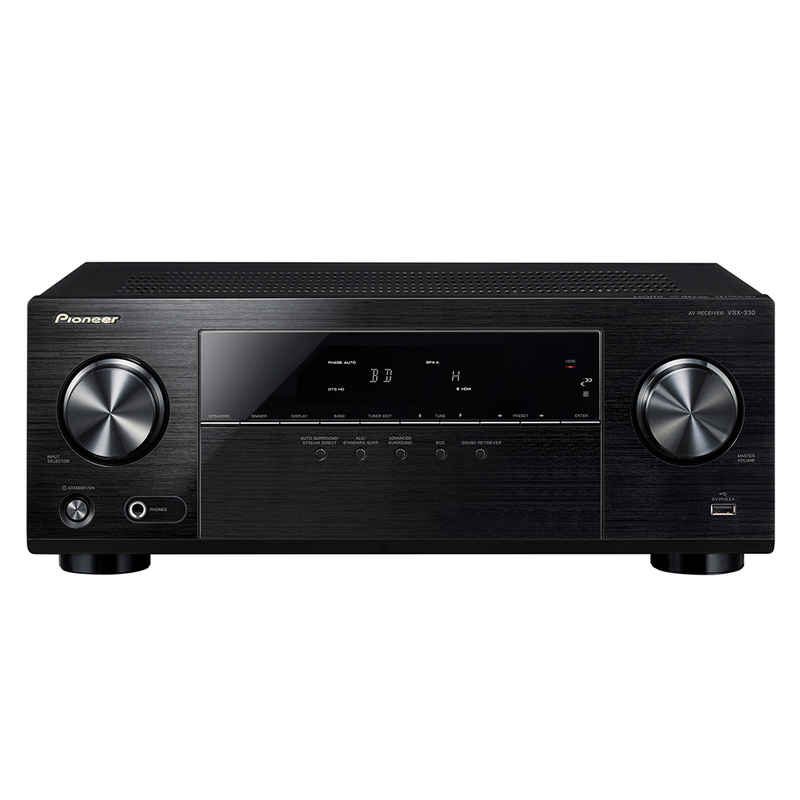 The AV receiver lets you combine existing or new speakers of your choice. With versatile inputs, you can enjoy not only films, but also sports programmes and music content in overwhelming reality. The feature lets you take advantage of the highest quality video source, by passing through 4K/60p /4:4:4 signals for viewing on a compatible display. 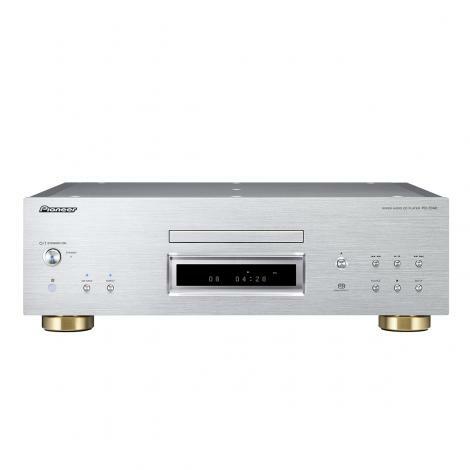 The AV receiver supports HDCP 2.2, so by connecting to a compatible device, you can enjoy premium content such as 4K videos with digital copy protection. You can enjoy the latest Blu-ray 3D™ Discs, 3D games, and 3D broadcasts by connecting the AV receiver with a Blu-ray 3D Disc player, game console, or tuner (STB) and display via HDMI. 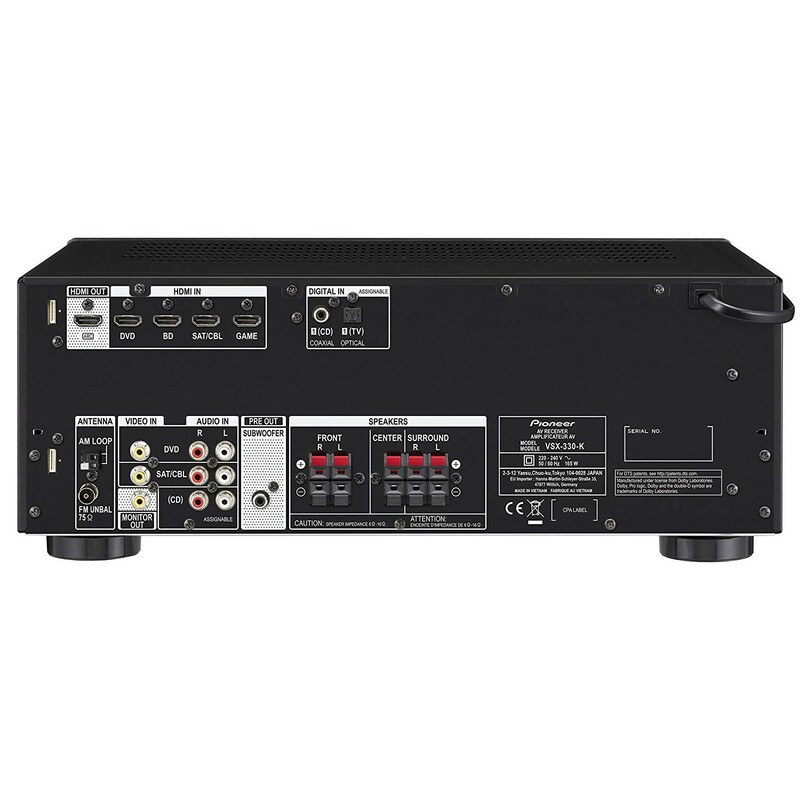 The Audio Return Channel (ARC) feature allows a TV with built-in tuner to send audio data "upstream" to the AV receiver via HDMI without a separate audio cable. Enjoy full-digital transfer of high-definition audio as well as up to 4K/60p video signals by HDMI connection. The Advanced Sound Retriever upgrades the output of compressed audio such as WMA, MPEG-4 AAC, and MP3, to the level of CD sound. The technology creates new signals to restore the minor details left out during the compression process. subwoofer output. This causes phase shift of the low-frequency signals compared to the main channel signals, and the delayed bass makes the sound lack synchronisation. 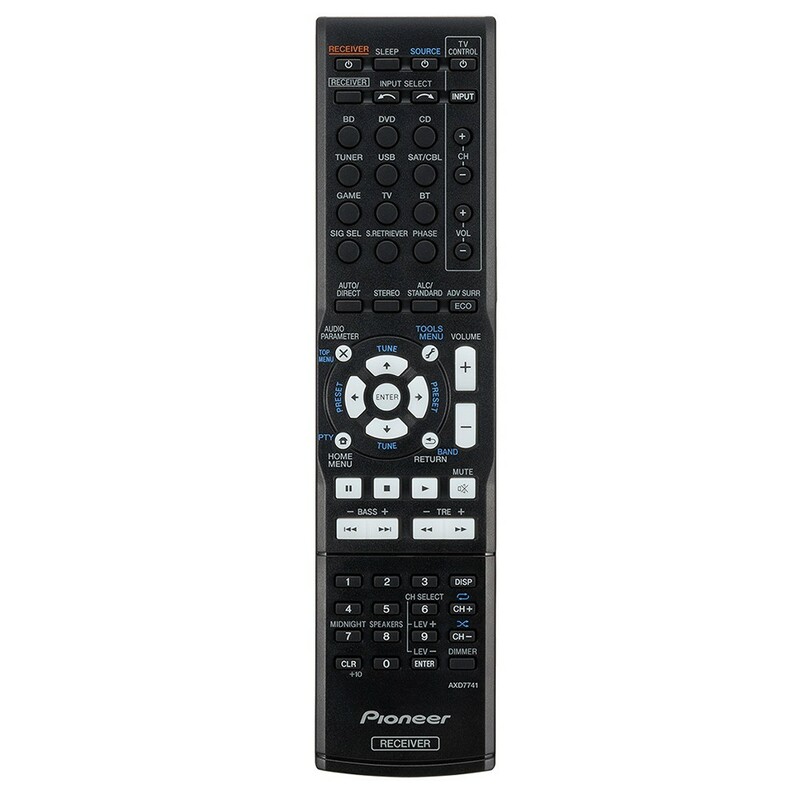 Pioneer’s Phase Control technology effectively eliminates phase lag and reproduces clearer mid- and high-range sound. You can feel the bass vibrating the air and deeper voices in films, and the groove of the performer in music content. The VSX-330-K supports Dolby TrueHD and DTSHD Master Audio surround soundtracks, letting you experience the world of true high-definition entertainment from Blu-ray Discs. The lossless codecs are bit-for-bit identical to the studio master. ECO Mode 1 features moderate energy saving operation while maintaining high-quality sound. It is ideal for CD music, 2ch audio files, and internet radio. The higher energy-saving ECO Mode 2 features moderate sound quality, and is suitable for content with dynamic sound such as films (multi-ch/2ch) or live concerts. The function can be accessed from the front panel or the remote control.